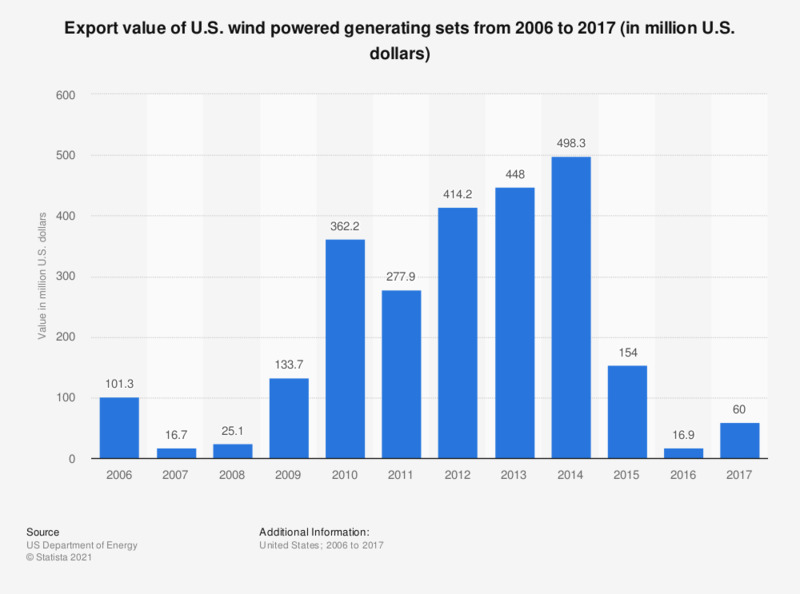 This statistic represents the export value of U.S. wind powered generating sets between 2006 and 2017. In 2017, the U.S. exported wind powered generating sets to the value of around 60 million U.S. dollars. Values in 2017 U.S. dollars.